Edward Baltram is overwhelmed with guilt. His nasty little prank has gone horribly wrong: He has fed his closest friend a sandwich laced with a hallucinogenic drug and the young man has fallen out of a window to his death. Edward searches for redemption through a reunion with his famous father, the reclusive painter Jesse Baltram. Funny and compelling, The Good Apprentice is at once a supremely sophisticated entertainment and an inquiry into the spiritual crises that afflict the modern world. For more than seventy years, Penguin has been the leading publisher of classic literature in the English-speaking world. With more than 1,700 titles, Penguin Classics represents a global bookshelf of the best works throughout history and across genres and disciplines. Readers trust the series to provide authoritative texts enhanced by introductions and notes by distinguished scholars and contemporary authors, as well as up-to-date translations by award-winning translators. 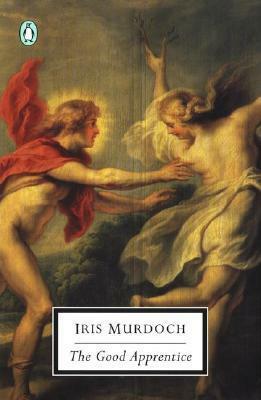 Dame Iris Murdoch (1919-1999) was one of the most acclaimed British writers of the twentieth century. Very prolific, she wrote twenty-six novels, four books of philosophy, five plays, a volume of poetry, a libretto, and numerous essays before developing Alzheimer's disease in the mid-1990s. Her novels have won many prizes: the James Tait Black Memorial Prize for The Black Prince, the Whitbread Literary Award for Fiction for The Sacred and Profane Love Machine, and the Booker Prize for The Sea, The Sea. She herself was also the recipient of many esteemed awards: Dame of the Order of the British Empire, the Royal Society of Literature's Companion of Literature award, and the National Arts Club's (New York) Medal of Honor for Literature. In 2008, she was named one of the Times' (London) 50 greatest British writers since 1945.